How to cope with growing variable energy coming from renewables? Studies show that large flexibility potentials exist to balance variable generation, yet their activation remains limited, suggesting that market or regulatory barriers prevent from using such flexible resources. The electricity report investigates this topic in the Nordic and Baltic countries under a policy-based perspective. 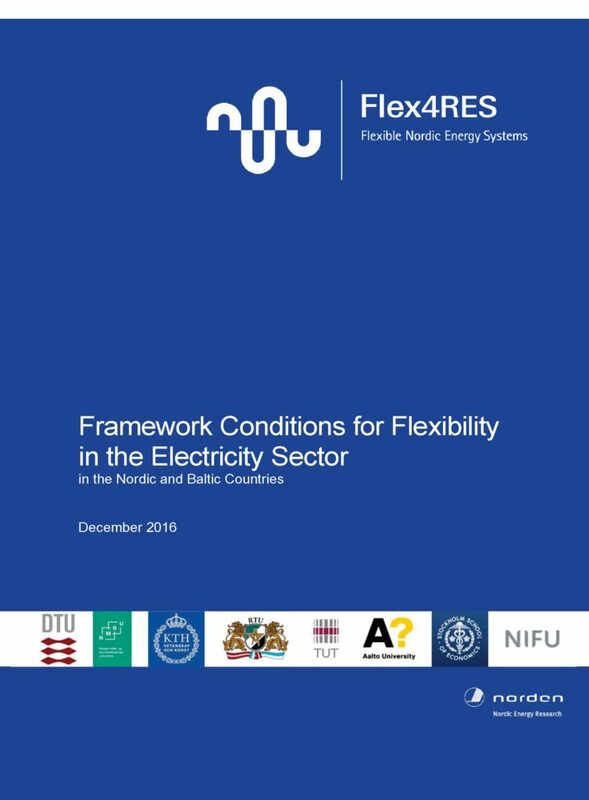 It is the result of a joint contribution of energy experts in the region, who identifies the framework conditions that influence the provision of VRE-friendly flexibility in the electricity sector. These conditions eventually act as drivers or barriers to reach European decarbonisation target. The study points at both key supply and demand-side flexibility potentials, storage technologies, and gathers regulatory information on market designs and grid operation. The regulatory settings are investigated in the light of short-term flexibility provision as well as future investment choices in a flexible resource.